RB Windows, Doors and Conservatories Limited - Builder, Fascia/Soffits/Guttering, Windows/Doors/Conservatories based in Cannock, Staffordshire. 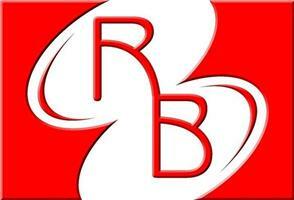 RB Windows, Doors and Conservatories Ltd is a family run business that started out in 1985. Located on the Walsall Road in Bridgtown, Cannock, Staffordshire. We have a large showroom that displays a wide range of products including full size Conservatories, full size Orangeries, Solid Roof's, Composite and Upvc Doors, Bi-fold Doors, Energy Efficient Windows, Blinds, Laminate Flooring and Cane/Rattan Furniture. We have no high pressure sales approach and provide Free no obligation quotes. All our windows etc. are custom-made to your requirements. Our sales team are here to help and advice. From modern to contemporary, from style to colour. With our own highly qualified building and fitting teams we offer a committed, professional and reliable service second to none. Our installations are project managed through-out.